GOSPELflava.com pays tribute to Gospel innovator and pioneer, the legendary Dr. Charles Fold, who passed away at his home in Cincinnati on April 7th, 2006 after a period of illness. 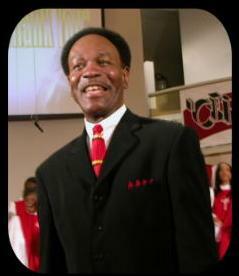 Born on June 4, 1934, Dr. Charles Fold played a significant role in the explosion of the traditional Gospel choir sound beginning in the 1970’s, together with Rev. James Cleveland. Cleveland with his unparalleled gift for capturing the attention of the masses with his songs and riveting delivery, and Fold, able to deliver those songs in powerful style with his Charles Fold Singers, are the ones who turned “Jesus Is The Best Thing That Ever Happened To Me” and “Lord, Let Me Be An Instrument” among others, into smash hits. Dr. Fold began as a musician with Detroit’s famous Meditation Singers (under the leadership of the peerless Ernestine Rundless and Della Reese) in the female group’s heyday in the 1950’s. 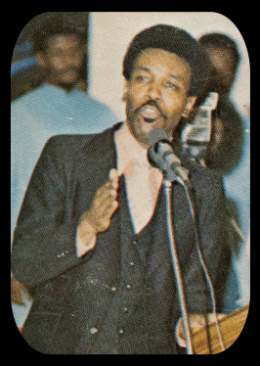 In the 1960s, working with the Gospel Messengers of Cincinnati, he put out material on era’s two powerhouse Gospel labels, Savoy and Peacock. 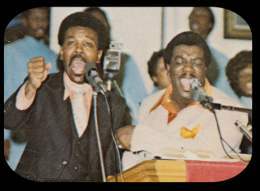 In the mid 1970’s, he and his Charles Fold Singers appeared as guests with the legendary Isaac Douglas on the By The Grace of God LP on Creed Records. Then he began his work with Cleveland, beginning with the Savoy album, Rev. 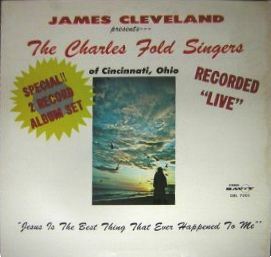 James Cleveland Presents The Charles Fold Singers, Jesus Is The Best Thing That Ever Happened To Me, a live-recorded 2-LP set from 1975 that featured the title cut, Cleveland’s Gospel cover of the Gladys Knight and the Pip’s “The Best Thing That Ever Happened To Me”. Cleveland introduced countless choirs and artists for the Savoy label by appearing on their records, propelling many into musical careers of their own by putting, in essence, his stamp of approval on their initial offering. 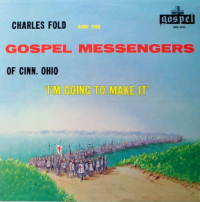 With Dr. Charles Fold, however, the collaboration was not simply a limited time offer, for he worked together with the Cincinnati-based choir on the follow-up album, Vol. 2, Touch Me from 1976, and also a Vol. 3, Is There Any Hope For Tomorrow, released in 1978. This began a set of nine LPs in which Fold and Cleveland collaborated, with the highlight, from an awards standpoint, being the Grammy-winning from 1979, Lord, Let Me Be An Instrument LP. Fold also garnered an additional four Grammy nominations in the course of his musical ministry. Also stemming from this partnership was the emergence of Dr. 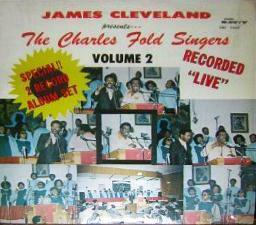 Fold as a key figure in the Gospel Music Workshop America, the organization founded and spearheaded by Cleveland. Until the time of his 2006 home going, Dr. Fold was a fixture at the meetings, and was involved at the upper levels, holding the position of President of National Chapter Representatives, Executive Committee upon his homegoing in 2006. In 1990, Fold delivered He'll Step Right In, with The Cincinnati Chapter of GMWA, on Savoy. 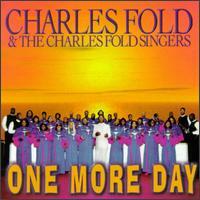 In subsequent years, Dr. Charles Fold and The Charles Fold Singers went on to give the world such albums as Well Done, I'll be With You Always, and their One More Day project, released in 1997 on the Majestic label. Dr. Fold was also very much involved in his local church, Lincoln Heights Missionary Baptist, in Cincinnati, where he served as Minister of Music, and continued to foster the development of Gospel music in all who showed an interest. All content in GOSPELflava.com © copyright 2006. All rights reserved.